World Social Work Day 2016 (WSWD) was on March 15th. 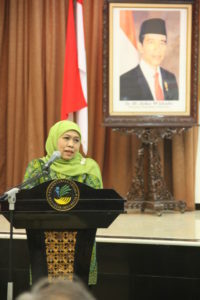 The theme ‘Promoting the Dignity and Worth of Peoples’. 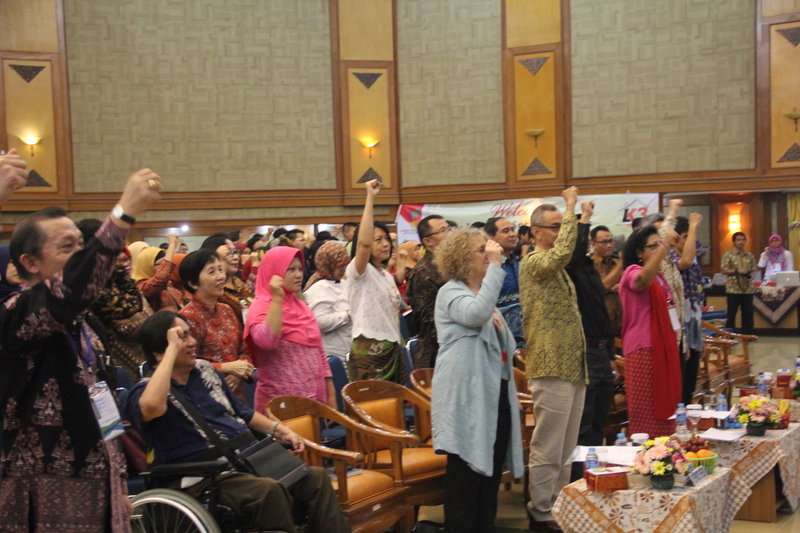 WSWD 2016 created another opportunity for the profession to express international solidarity and to bring common messages to governments, regional bodies and to our communities. 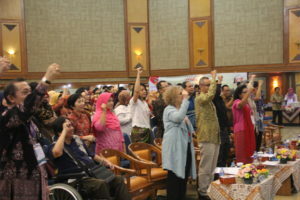 The theme for this, and the last, WSWD came from the Global Agenda for Social Work and Social Development. Each of the five Global Agenda themes runs for two years and 2016 was the second year for Promoting the Dignity and Worth of Peoples. All social work partners and members are welcome to co-brand the WSWD poster by adding their logo alongside the IFSW logo. We also invite member organisations to translate the poster into their own language. To translate the poster into another language, download the Word version and replace the English text with your language. Please send IFSW the translation, specifying which language you have used and once we have verified the translation with our corresponding member it will posted on the website. Other translations will be posted shortly. Other video messages will be posted shortly. IFSW organised events on World Social Work Day in Geneva and Vienna as part of its representation work at the United Nation offices in these cities. More information about our work at the United Nations can be found on our Work at the United Nations Hub. Furthermore, our members around the world are organising events on WSWD. Please find below more information on these events. WSWD 2016 addressed the role of social work facing the situation of refugees and displaced persons. Millions are fleeing their place of living in search of survival and security, risking their lives on dangerous escape routes and threatened by human traffickers and other criminals who take advantage of their distress. 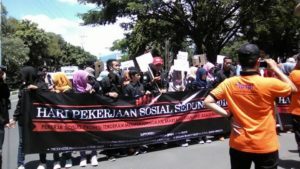 The reasons for internal and international forced migration are manifold: discrimination, oppression and expulsion of political, ethnical or religious opposition or minorities, violent conflicts, natural and manmade disaster and climate change, land expropriations for dam building, urbanisation projects, land grabbing etc. The International Federation of Social Workers & the International Schools of Social Work are pleased to announce that the 33rd Annual Social Work Day at the United Nations is scheduled for Monday, April 4th from 10:00 am – 12:00 pm. Our theme for the program is Refugees and Displaced Persons: Ensuring Dignity and Worth. Our program is scheduled to be held in Conference Room 4 of the United Nations main building. Registration check-in will begin at 9:00 am outside of the UN. There is no registration fee to attend Social Work Day at the UN. A student event (for a limited number of students) will be held in the afternoon from 3:00 – 5:00 pm. All social work faculty, professionals, alumni and students are most welcome. Electronic registration for SW Day will begin on Tuesday, March 8th at 1:00 pm Eastern Standard Time. Electronic registration for the Student Event will begin on Wednesday, March 9th at 1:00 pm Eastern Standard Time. Registration will close when we reach our capacity. Anyone coming to the UN after 9:45 am time will NOT be admitted to the conference. The International Federation of Social Workers in partnership with OBDS and Younion, are facilitating a meeting of social workers and refugees from the countries where people are escaping from (War Countries), social workers from the countries where the refuges are transferring through (Transfer Countries) and where they find asylum (Asylum Countries). Symposium Objectives: To bring together social workers and refugee representatives from the affected countries to: 1. To create an overall working plan for social workers in each of the affected countries to coordinate information that provides a better understanding and response to refugee needs during their journey, transfer and integration in the asylum countries. 2. To develop a focused strategy on particular vulnerable groups such as unaccompanied children and young people, older people, those with health issues and trafficked persons. 3. Establish a comprehensive political advocacy strategy that reflects a ‘ground up’ perspective on refugee needs, aspirations and solutions. 4. To establish social work models that support refugees in isolated situations where other forms of assistance are not available. 5. To utilize the skills of social workers constructively to developing inclusive and cohesive societies. Follow the event from anywhere in the world using our Livestream Gateway! Enviamos para su conocimiento, algunas acciones desde América Latina y El Caribe que se llevarán a cabo en nuestra región en el Día Internacional De Trabajo Social!!!! 1.- Taller de Ética y el Ejercicio Legal de la Profesión. Es importante que se difunda que para el Ejercicio Legal de la Profesión, se deben respetar las normas y las leyes respectivas de Titulos, Colegiaturas y Habilidad, para poder realizar un buen trabajo profesional y estar amparado con el resguardo institucional. Así mismo los Trabajadores Sociales, debemos velar e impulsar el respeto de los Valores, Honestidad, Justicia, Equidad, Responsabilidad Social, etc, y compromiso etico en la labor profesional, desde cualquier ámbito laboral ya sea privado o estatal. 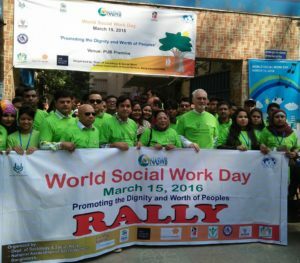 The department of social work, sardar patel university, vallabh vidyanagar, gujarat, India will celebrate world social work day on March 15th, 2016. They are taking up human right issues in India and inviting many resource participants to share their views as well as researchers to submit their papers. 1. To identify the opportunities and scope of Social Work education in Nepal. 3. To get insight of worth and dignity of social workers in Nepal. There will be 100 participants from different colleges providing social work subject as major subject. They will be from Bachelor’s level. And there will be maximum 4 students from one college. And about 25 colleges will participate in the seminar. 1. Introduction of social work: – Faculty member from Social Work Department TU. 3. Challenges of Social Work: – Person practicing social work with social work background. 4. 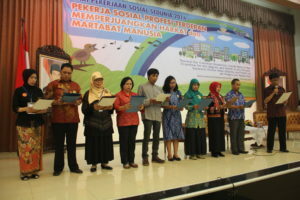 Social Work as profession: – Member from Ministry of Women, Children and Social Welfare. 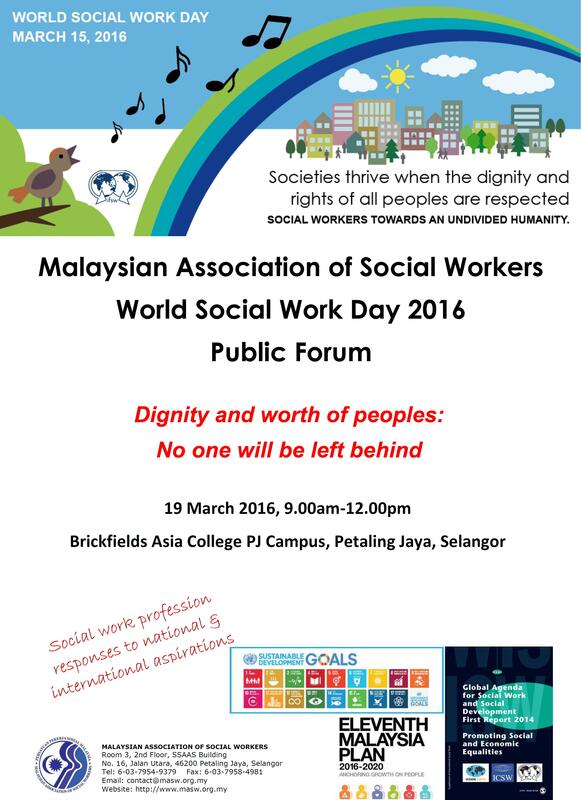 Social Work Students have organised to set up a day to promote World Social Work Day. They are focusing on unseen disabilities. They have made posters, stickers to give out on the day, flyers and received real stories that people are willing to share on ways they feel they have been frowned upon in the community over using disabled toilets or a disability parking badge due to the public not knowing they have a disability. They are trying to enlighten people that not all disabilities are visible. La sociedad cubana de trabajadores sociales de la salud celebrara la xi jornada científica nacional de trabajo social y ii jornada científica nacional de rehabilitación sociocupacional ¨promoción de la dignidad, el valor de las personas y la población¨, que se celebrará el 15 de marzo del año en curso, en el hotel paseo habana, en conmemoración al día mundial del trabajo social, día nacional del trabajo social y el 38 aniversario de la fundacion historica de la socutras, donde se presentara la conferencia ¨cuba: derechos humanos y humanos con derechos¨, por lic. Odalys gonzález jubán (presidenta socutras) y 16 trabajos en temas libres de las diferentes provincias del país. El trabajo premiado con el primer lugar, se estimulara con un viaje con gastos pagos por la organización al 15 congreso colombiano de trabajo social a presentar su ponencia. También se hará homenaje a dos trabajadoras sociales adultas mayores que llevan más de 50 años ejerciendo la profesión y se hará difusión por la radio y la televisión cubana. Marcha y stand en La Plaza de la Democracia junto a otras organizaciones sociales!!! Panamá donde están las actividades que se llevarán a cabo el di internacional de trabajo social!! The IFSW Regional President visited China from March 13-17. 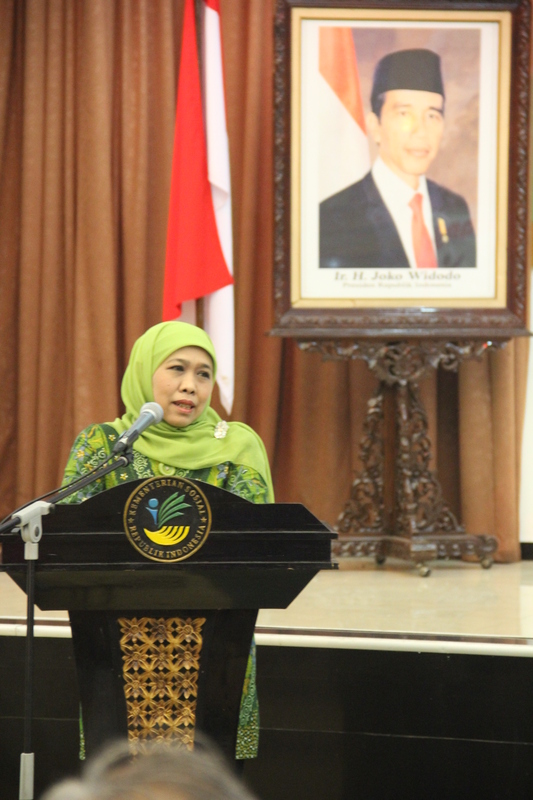 Including a speech by HE Mrs. Khofifah Indar Parawansa, the Minister of Social Affairs of the Republic of Indonesia. 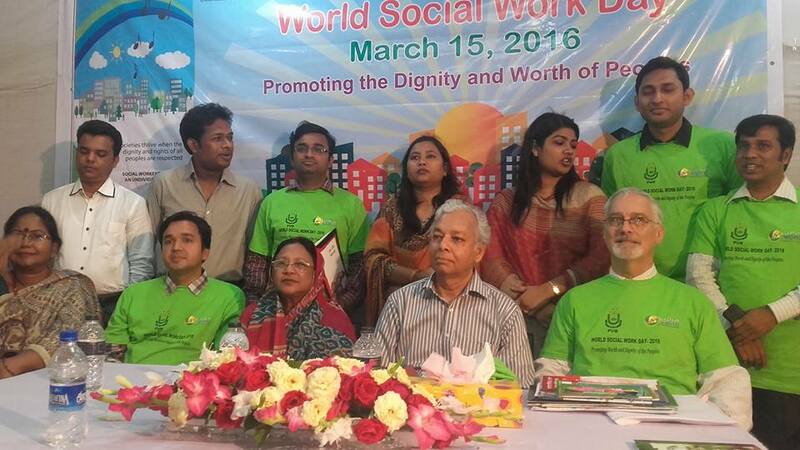 Bangladeshi colleagues observed World Social Work Day 2016 very successfully. 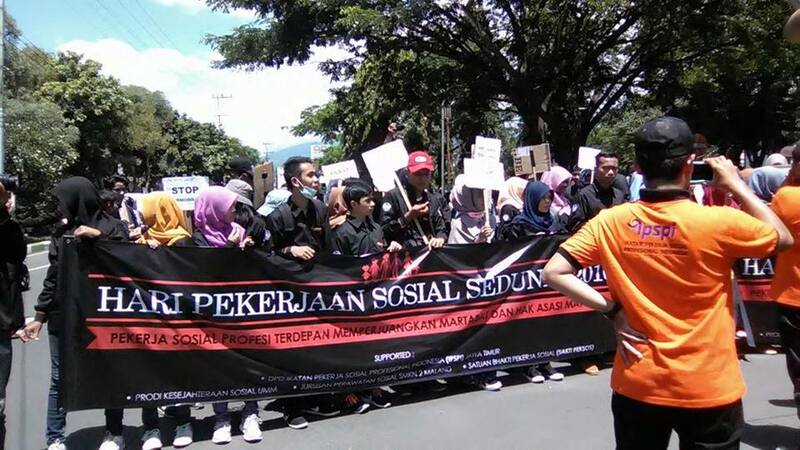 Social workers engaged in a rally and a seminar on this year’s theme. People for different organizations attended and joined. There was media coverage both in print and electronic nationwide.